The Vivobarefoot Ababas distinctive heel rocker footprint sole is designed with simplicity in mind. 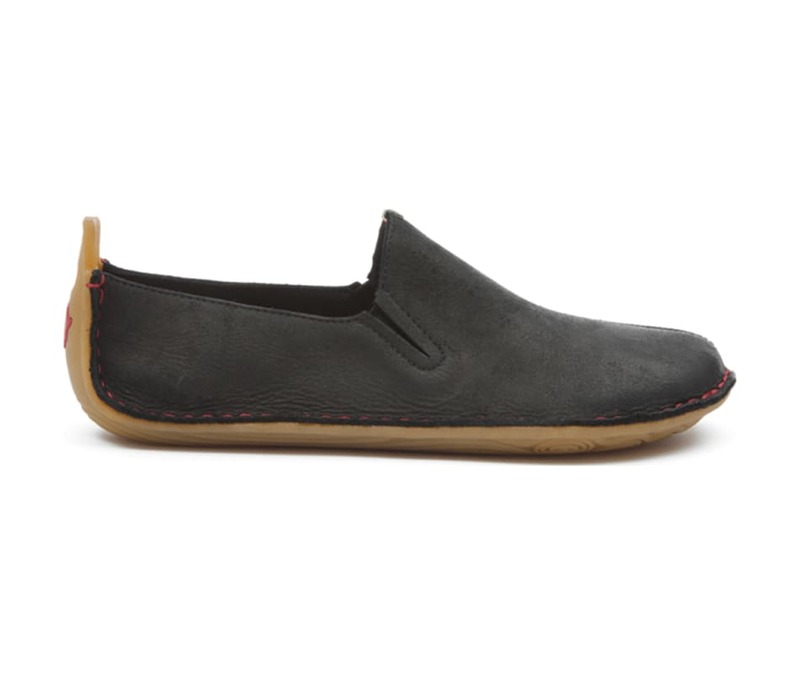 The slip-on design is created using local leather, which is hand-stitched directly onto the sole, giving it perfect shape, glove-like flexibility, and amazing barefoot feel. PRO5 - Patented, ultra-thin, puncture resistant layer. 5x more puncture resistant than a standard sole of the same thickness. SOUL OF AFRICA - Made in Africa in collaboration with the Soul of Africa social enterprise. TOUGH RUBBER COMPOUND - Strong, non-marking rubber compound for sticky grip and high-abrasion when you need it most.